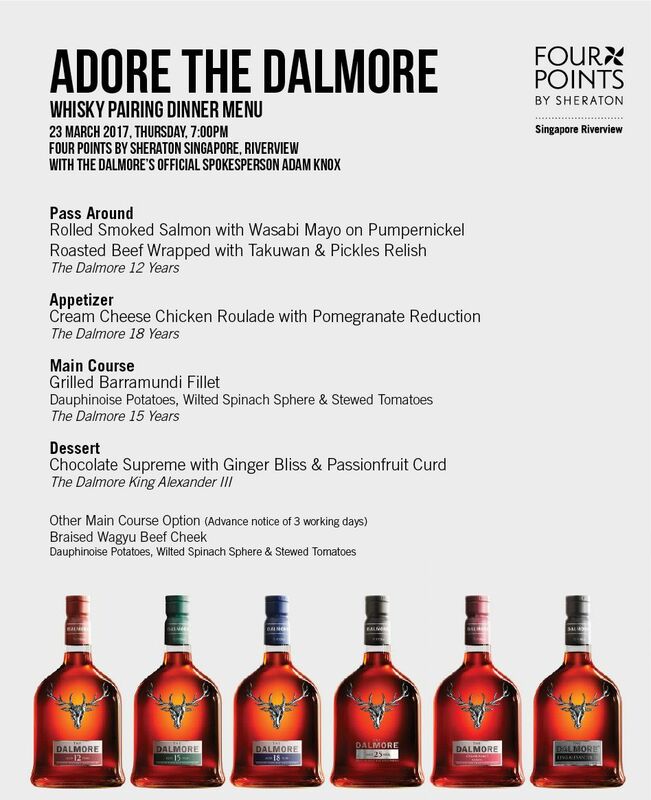 Experience an exceptional one-night only four-course pairing dinner organised by Whisky Butler with one of the most revered single malt whisky in the world, The Dalmore, together with its official spokesperson, Adam Knox, on Thursday 23 March 2017 at 7pm at Four Points by Sheraton. This whisky pairing dinner costs $88++ per person. Limited seats available. Call 61008815 or email us at contact@whiskybutler.sg to book a seat. Whisky Butler members get 20% off.